This is a stunner, E.J.! Fantastic shot in every way. Love it! Excellent flight shot, perfect shooting angle and nice background. What a beauty! Love the angle in the frame and the pretty light. Great image, the background it's fantastic. Nice incoming image in soft light, revealing this drake's colors well, and a nice background. Awesome capture of my favorite duck! What a beauty E.J. 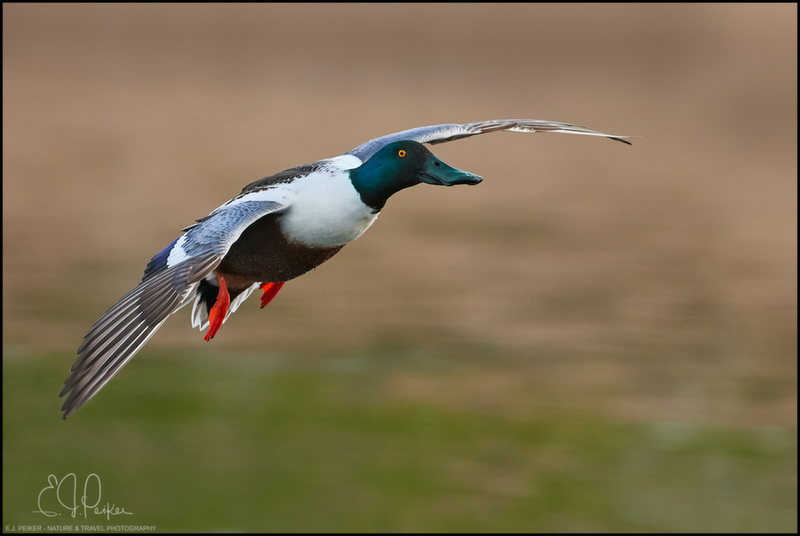 Rare shot to see Northern Shoveler in flight. I see most shots on the water.